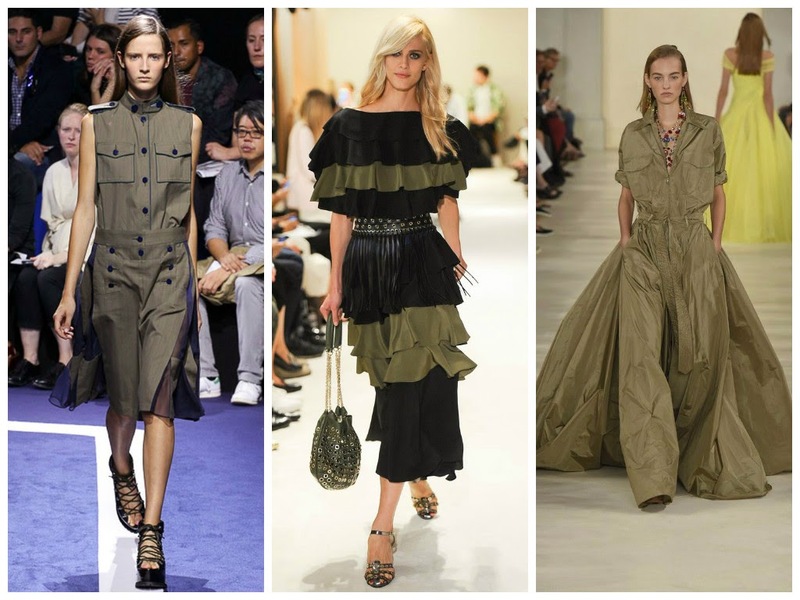 The Fashion Lift: Time for Khaki.. 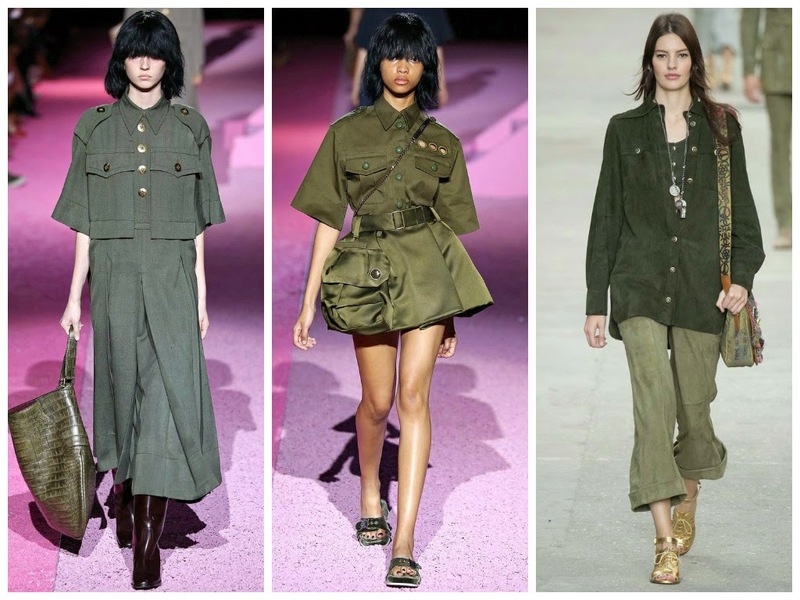 Style Theory: Khaki in spring summer 2015 is definitely one for the girls, no longer a military look this season it comes in elegant, fluid forms, think flowy dresses, slouchy shirts and tailored trousers. The colour is considered a neutral and can be combined with almost any colour in the rainbow, but this season keep it chic and simple layer up different shades of green from dark forest to pale khaki, or wear all one colour with black accessories, clean and straightforward.. Here is streetstyle inspiration on how to style the khaki trend..
A really grown up way to wear khaki, chic and stylish. 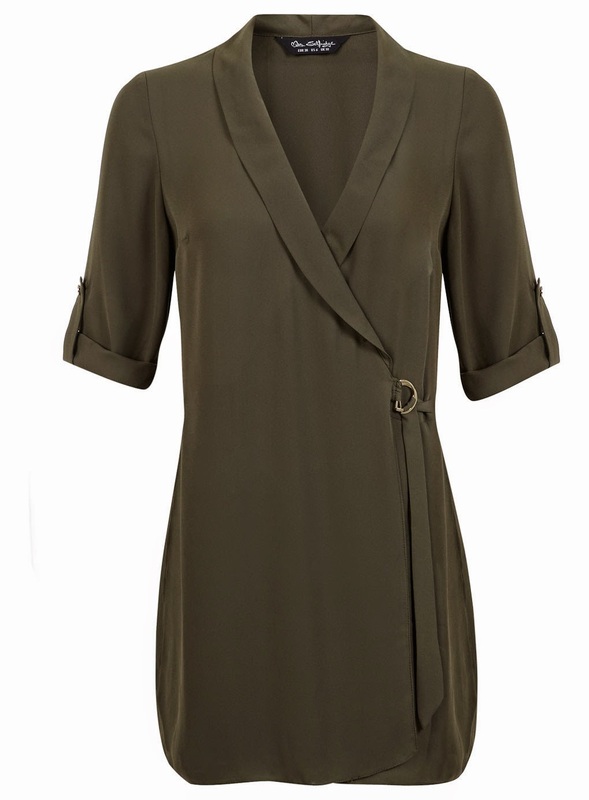 Wrap a belt around your trench so a chic look. 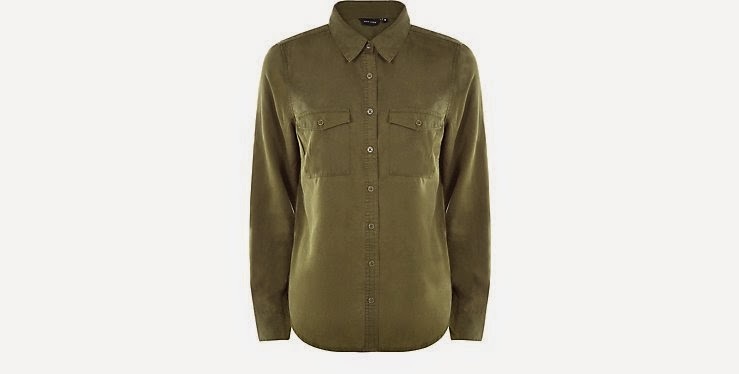 Khaki is an easy trend to wear, it is a soft flattering colour, looks great with olive skin or try a splash of fake tan to enhance the colour on paler skin tones..here are the best khaki clothing on the high street now..
Topshop have this look pretty much covered, pair your khaki items with black skinny jeans and black accessories for the winter, as the Spring approaches add some pale pinks and reds in for a fresh look. I have this sweater and have worn it non-stop. 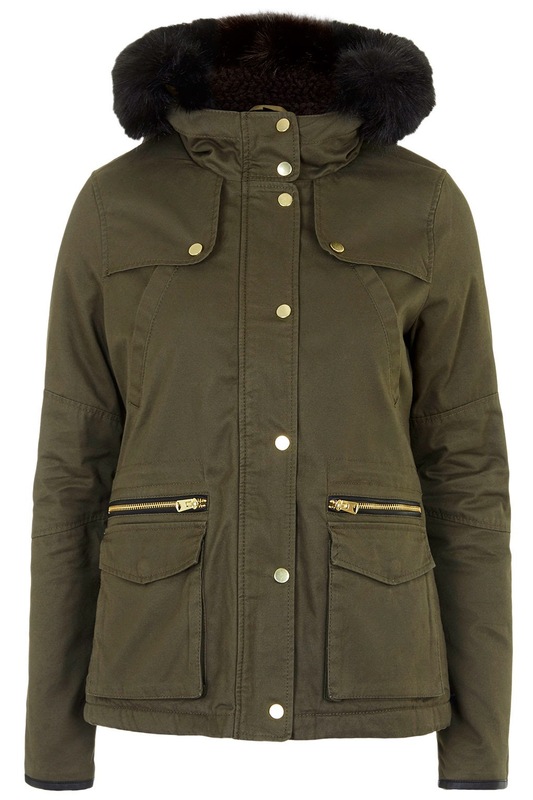 It is so soft and comfortable, looks great with faux leather leggings and a fur coat for a statement look. 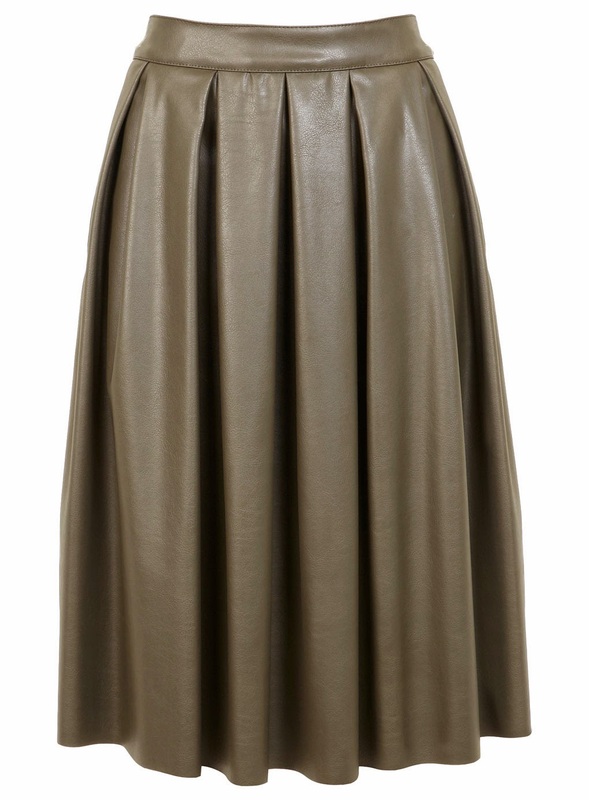 Or pair it with a black leather pencil skirt and heels for a chic outfit. 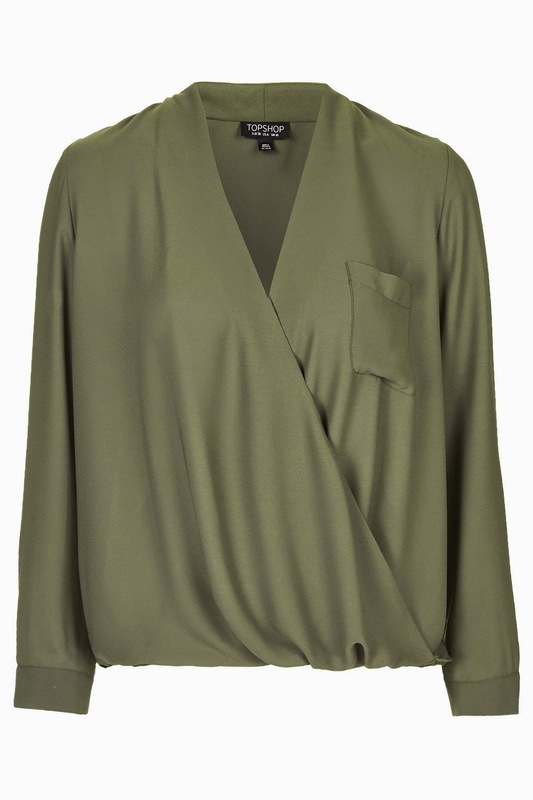 A sophisticated take on the khaki trend, toughen this blouse up with distressed skinny light blue jeans, a biker jacket and pointed snakeskin heels. 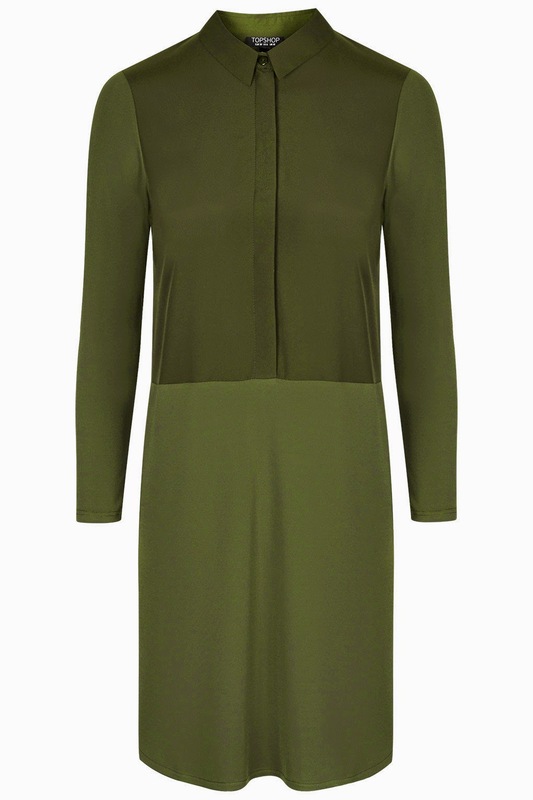 An easy to wear dress, wear now with tan knee high 70s style boots and a camel or navy coat. Wear in the summer with tan sandals. 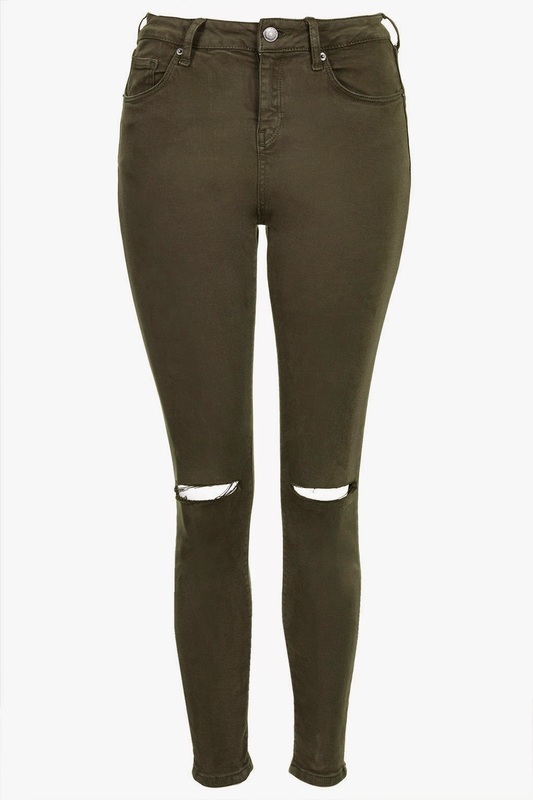 A fabulous pair of basic jeans, they look great with pink sweaters and stan smith trainers. In the summer pair with delicate white 70s tops and tan, flat sandals. 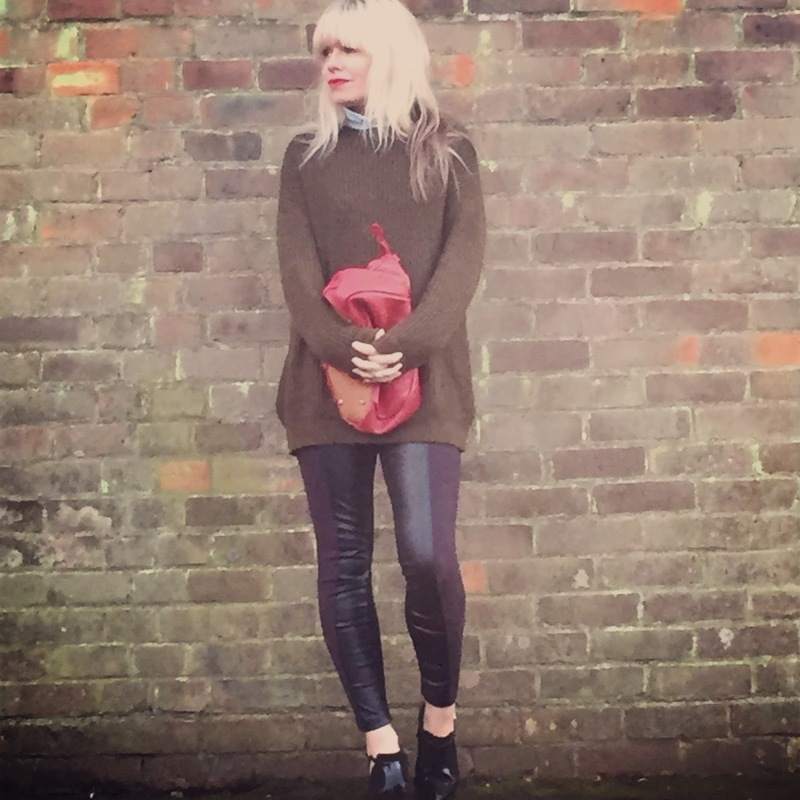 I have these trousers and they are unbelievably comfortable, however as they are not denim the rips do get bigger and bigger so wear with caution, not the best for scrabbling around on your knees with the kids. They look fab with leopard print heels and an oversize sweater or navy blouse. This is a great transitional jacket, the black faux fur adds a touch of luxury. Chic, sophisticated and so easy to wear. This playsuit would make a fab summer holiday buy, I would wear with tan , flat strappy sandals and fine gold jewellery. 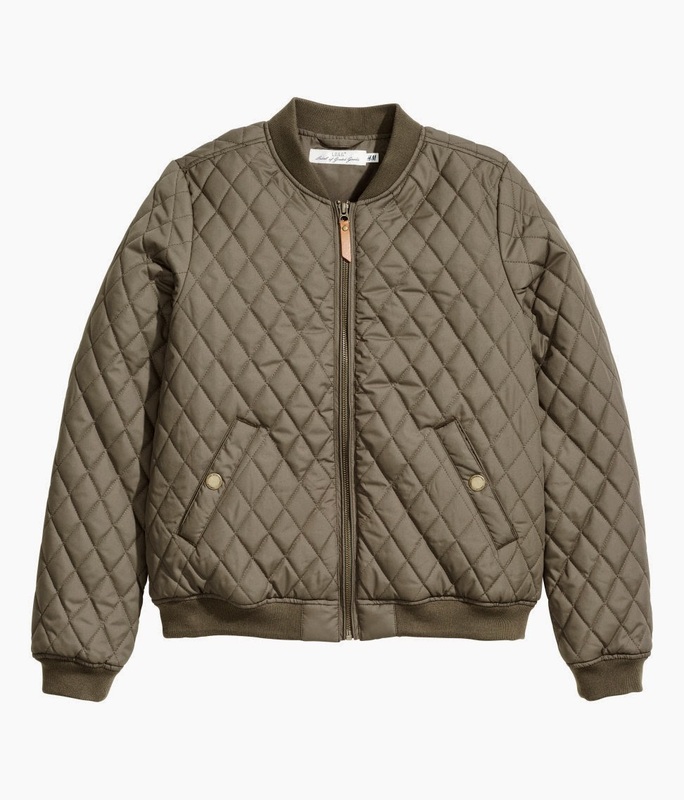 This is much softer and more slouchy looking in real life, would look great tucked into a black leather midi skirt and delicate high black heels. Adore the colour of this reduced skirt from Miss Selfridges, wear with a fine denim/chambray shirt and high tan boots now. For an easy day around the house.. I do love a spot of khaki and have amassed quite a few items over the last few years. Are you a fan, is it a colour you like wearing, do you consider it to be a neutral? 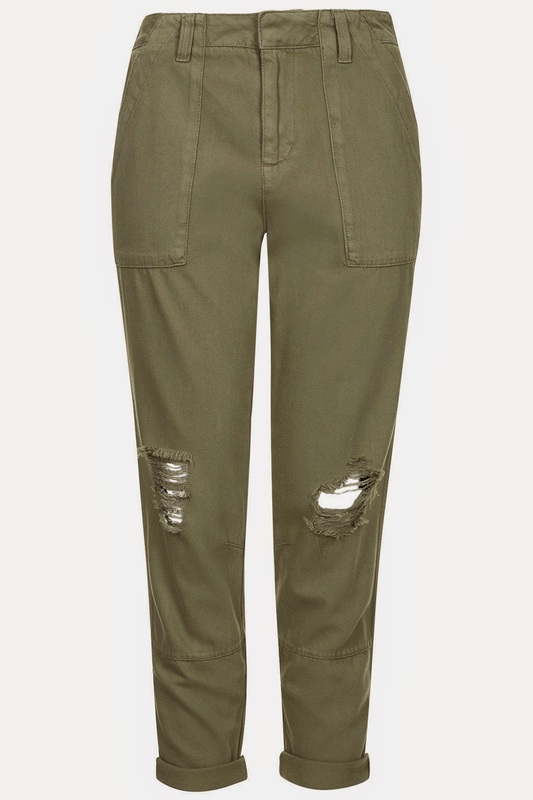 I bought the topshop cargo pants with the distressed detail buy after kneeeling down to pick up one of my kids they completely ripped. Been chasing down a neon bomber like the one above !! I love khaki/military items...I have so many that I've picked up over the years. I love your sweater...so cozy looking! 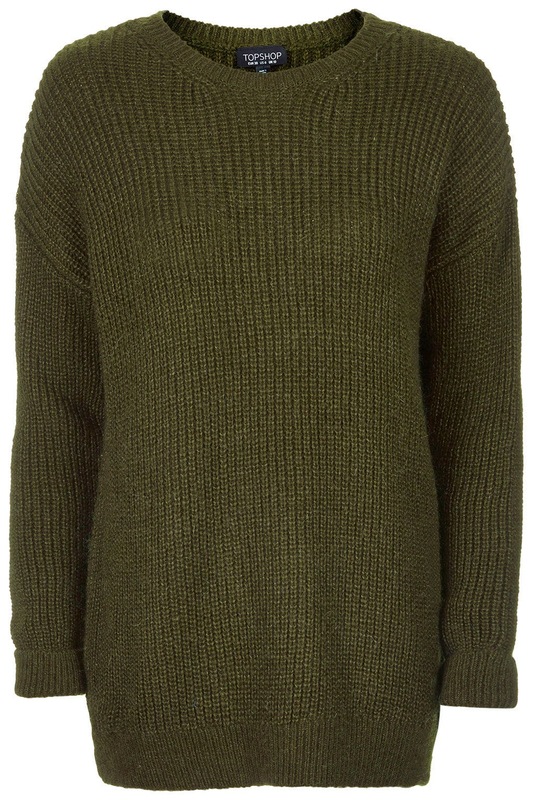 I like khaki and I have noticed the resurgence of the colour recently. And yes, I suddenly seem to have an influx of khaki posts on my blog feed - but like they say - great minds et al! 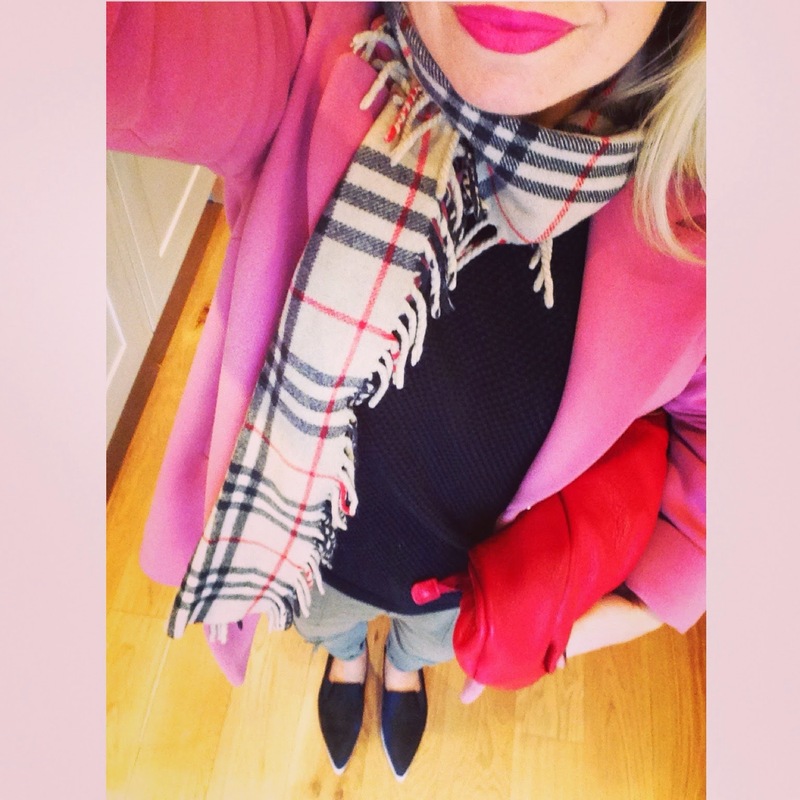 Love the way you've paired the Topshop pants with navy - just looks fresh.